Military Communication Works No 2 uses only modern technologies and varnishing materials. We recommend our services in high difficulty level and precision machine and equipment production. 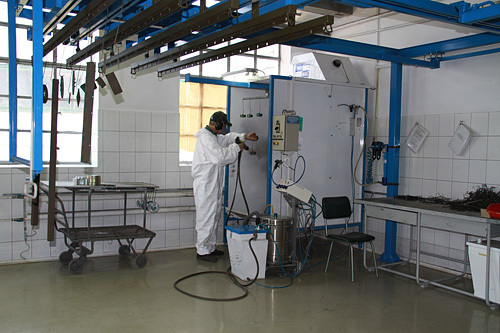 This fact, in connection with perfectly prepared personnel, gives a guarantee of high quality powder and spray coating. Max. size of powder coated elements: 600x1100x3000 (mm). Preparing surfaces of these elements has its place on a special washing and phosphatising line. 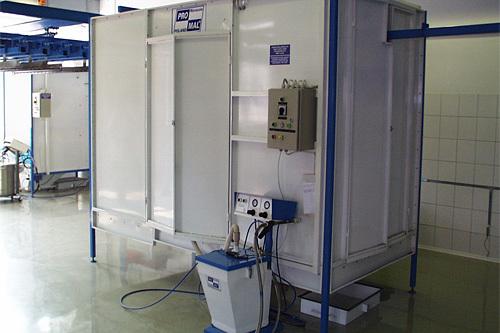 Spray coating – concerns containers and vehicles. Technological process has place in a dust-free painting cabin. 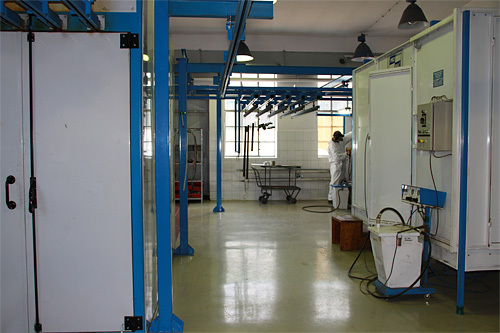 Varnishing room fulfills all required quality and technological demandings. We provide warehouse space to satisfy a need of our Client.